Rapid advancements in our ability to collect, process, and analyze massive amounts of data along with the widespread use of online and blended learning platforms have enabled educators at all levels to gain new insights into how people learn. Responsible Analytics and Data Mining in Education addresses the thoughtful and purposeful navigation, evaluation, and implementation of these emerging forms of educational data analysis. 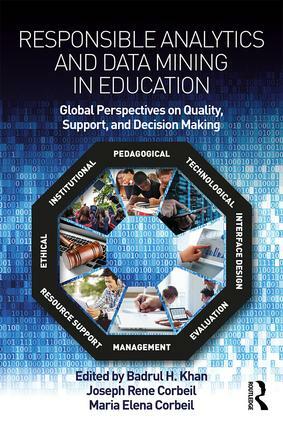 Chapter authors from around the world explore how data analytics can be used to improve course and program quality; how the data and its interpretations may inadvertently impact students, faculty, and institutions; the quality and reliability of data, as well as the accuracy of data-based decisions; ethical implications surrounding the collection, distribution, and use of student-generated data; and more. This volume unpacks and explores this complex issue through a systematic framework whose dimensions address the issues that must be considered before implementation of a new initiative or program.